Situated in Orlando, this hotel is within 3 mi (5 km) of Central Florida Fairgrounds, Camping World Stadium, and Tinker Field. Orlando City Stadium and Orange Avenue are also within 3 mi (5 km). Located in the heart of Orlando, this hotel is within 3 mi (5 km) of Tinker Field, Camping World Stadium, and Amway Center. Central Florida Fairgrounds and Church Street Station are also within 3 mi (5 km). 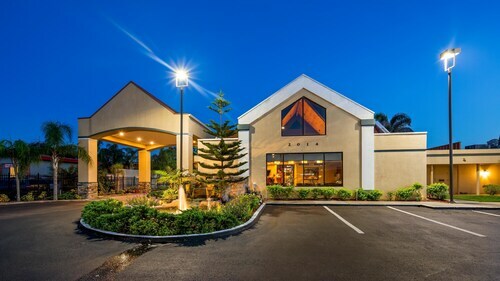 Situated in Orlando, this hotel is 2.7 mi (4.4 km) from Central Florida Fairgrounds and within 6 mi (10 km) of Tinker Field and MetroWest Golf Club. Lake Butler and Turkey Lake Park are also within 6 mi (10 km). 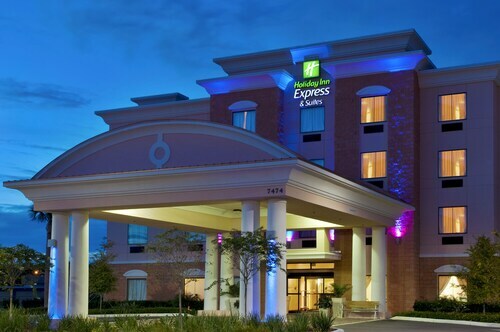 Situated in Orlando, this hotel is 0.7 mi (1.1 km) from First Baptist Oralndo and 2.2 mi (3.5 km) from Mall at Millenia. Camping World Stadium and Amway Center are also within 6 mi (10 km). 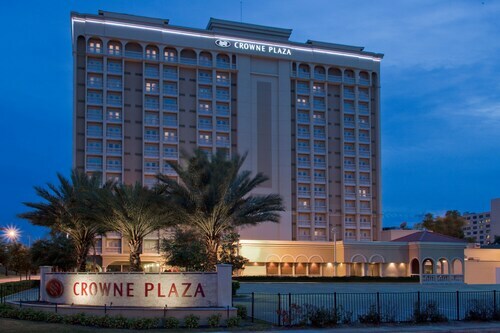 The Crowne Plaza Orlando is located right in downtown Orlando, 9 blocks from Amway Center (home of the Orlando Magic) and the Bob Carr Performing Arts Center. 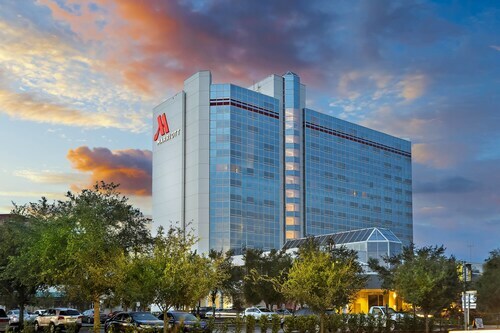 Located in Downtown Orlando, this hotel is within a 15-minute walk of Bob Carr Performing Arts Centre, Amway Center, and Church Street Station. Lake Eola Park and Dr. Phillips Center for the Performing Arts are also within 1 mi (2 km). This modern hotel is great for theme park hoppers - within a 20-minute drive of Walt Disney World Resort, Universal Orlando® Resort, and SeaWorld®. Guests can stroll 2 blocks to take the air by Lake Ivanhoe, or hop on the hotel’s free shuttle and ride to attractions within a 3-mile (4.8-km) radius. Located in the heart of Orlando, this hotel is 2.8 mi (4.4 km) from Holy Land Experience and within 9 mi (15 km) of Mall at Millenia and Universal Studios Florida™. SeaWorld® Orlando and Walt Disney World® are also within 25 mi (40 km).